New technologies are being implemented at libraries across the state. The Delaware Library Catalog will be unavailable the evening of August 31 through 9:00 am September 1 (and may be unavailable during the day on September 1). 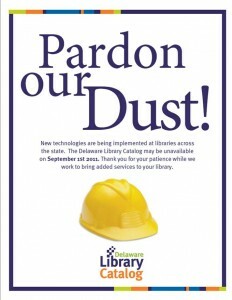 Thank you for your patience while we work to bring added services to your library. Don’t want to miss news or blog posts? 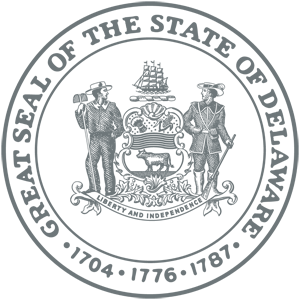 Like us on Facebook or follow us on Twitter!